The recently introduced CarrierWeb® equipment maintenance module gives customers a robust alternative to excel spreadsheets, white board lists and handwritten reports. The module uses information currently generated by CarrierMate™ in your trucks or ReeferMate® installed on temperature controlled trailers or TrailerMate™ hardware installed on dry van and flat bed trailers. 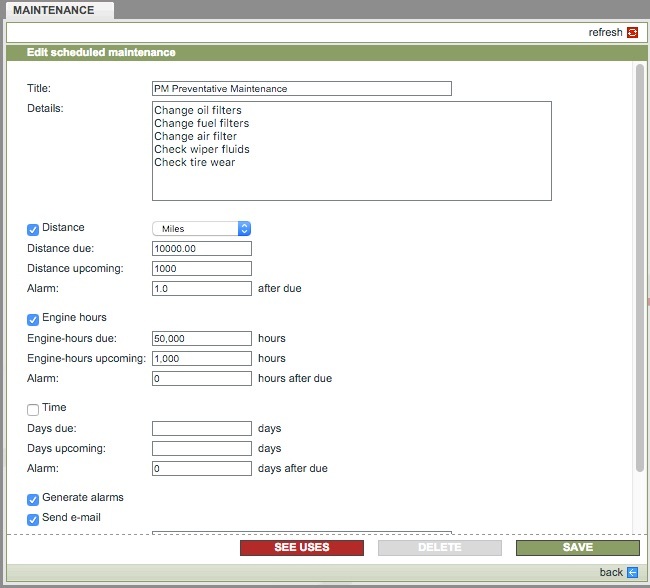 In the CarrierWeb® web portal all you have to do is create a list of scheduled maintenance events you want to manage and control based on miles, engine hours or time. These events are assigned individually to your equipment and the rest takes care of itself. Customers will see information updated to the minute and get reports seeing what is coming due and when, what is currently due or past due and needing immediate attention. 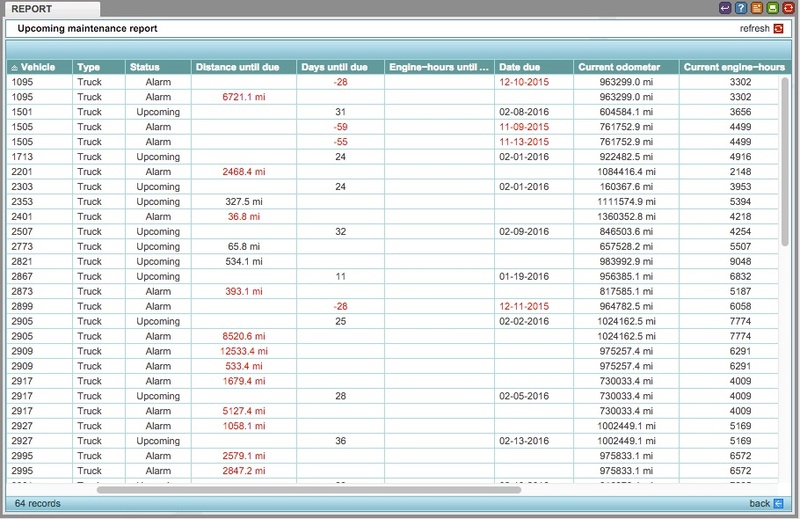 In fact the maintenance module can be configured to alert the appropriate personnel by email if something goes past due and into an alarm status. 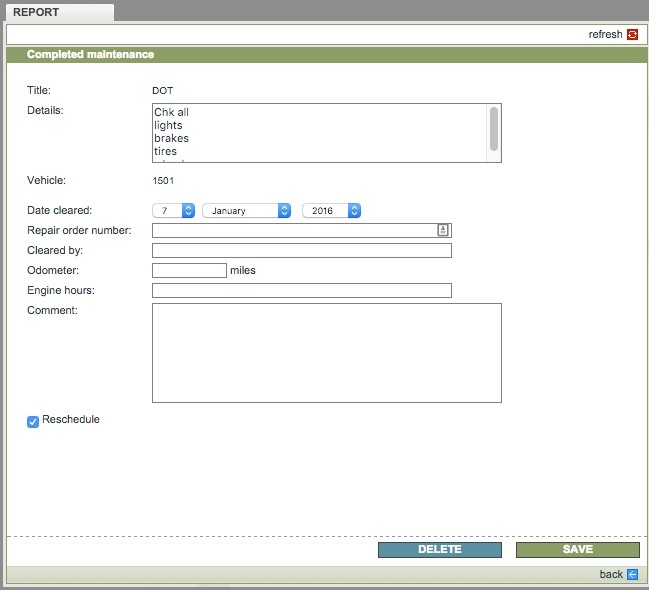 Maintenance personnel document work and maintenance completed directly in the CarrierWeb module. When an items is cleared the next scheduled maintenance is automatically created based on pre established intervals.